This weather can’t dampen the excitement as the WEF board members prepare to visit schools tomorrow to award classroom grants! Stay tuned for the announcement of this year’s recipients. 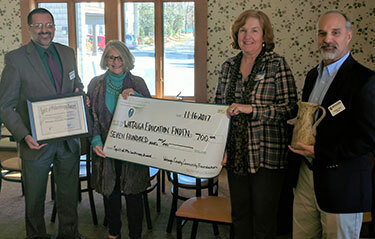 The Watauga Education Foundation was grateful to receive the Spirit of Philanthropy Award from the Watauga County Community Foundation last week at their annual meeting. 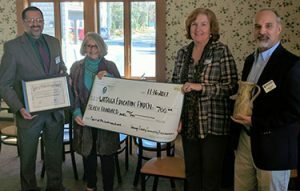 WEF was presented a check for $700 – which will go right back into Watauga County schools. Thanks so much! Pictured from left to right: WEF members: Don Presnell, Wendy Jessen, Laurie Vierheller, and Charles Crabbe.